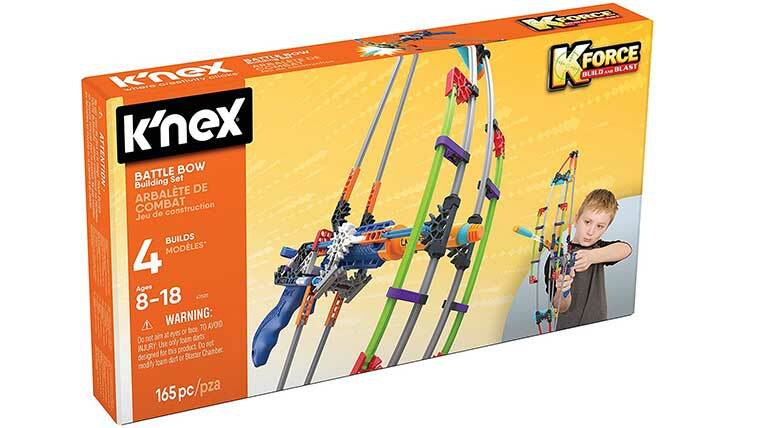 The K’nex build your own bow and arrow kit consists of 165 interlocking pieces. It actually shots foam arrows up to 75 feet once complete. There are 4 other blaster sets, so they can collect them all. Makes a cool gift recommended for kids 8 years old and up. K’Nex is an engineering that consists of interlocking components, such as gears, plastic rods, wheels, and other plastic pieces. They are designed for kids ages 5 to 12 years old. The KNEX bow and arrow is my favorite out of the all the blaster kits, but the others are pretty cool as well. You can see the blaster guns under related products through the link. The KNEX bow falls under a category of toys called STEM, because it involves the basic principles of science, engineering, physics, and technology.